It seems like a simple answer, but with a shortage on drivers throughout the entire logistics industry a lot of people are asking this question. Some people might not even think to ask this question. Mike Rowe, the host from the tv show “Dirty Jobs” identifies this problem as the skills gap. Thousands of well-paying jobs for a skilled trade go unfilled, which leads us to the first reason to become a truck driver. There is a shortage on truck drivers which means the likelihood of finding a truck driving job after you get your CDL is pretty high. You may need to gain experience in an entry level position depending on the companies’ insurance policy, but because the demand for truck drivers is so high most logistics companies are changing their recruiting strategy to make it easier for new drivers. Mike Rowe’s belief on why the skills gap exists is because young adults are more inclined to go to college instead of beginning a career in skilled trades, even though they can pay just as well and, in some cases, better than jobs that require degrees. A huge benefit of becoming a truck driver the cost for trucking school and the test to get you CDL is much cheaper than going to college. According to the IRS Statistics of Income study for 2014, the average adjusted gross income for a single person is just under $35,000/year. Comparing that to the national average salary for owner operators on Glassdoor which averages around $60,000, which is higher than over half of all household incomes. This makes truck driving seems like a good option. This also isn’t factoring in if you decide to start your own trucking business where you could potentially make much more than that. With truck driving starting your own business is easier to do than a lot of other industries. In fact, a lot of drivers are independent contractors otherwise known as owner operators. 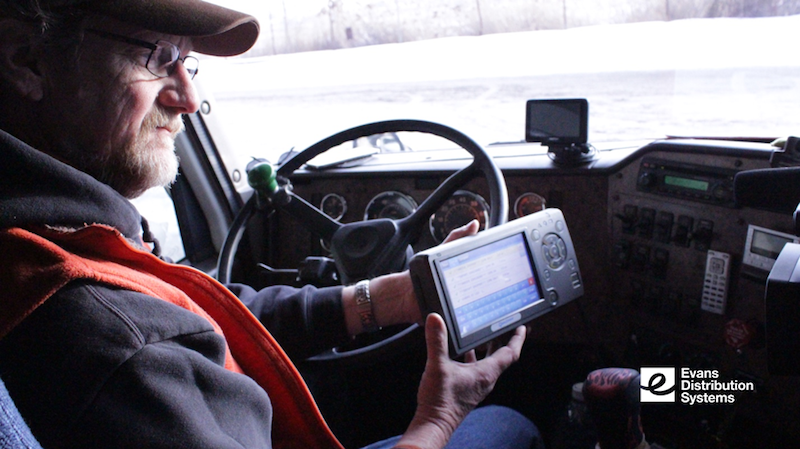 Many businesses including Evans hire both company truck drivers and owner operators to make up their fleet. With transportation being one of the most common jobs in the military, the desire to hire transitioning veterans for truck driving positions makes sense. Utilizing the training they received from the military, veterans can work in a field where they can run their own business, they have potential for growth, and have security in their career with the high demand for truck drivers. Additionally, the skills veterans have learned from their time in the military, such as working with a team, establishing a leadership role, and being goal-oriented are all traits that translate very well in the logistics industry. You can find even more benefits with the job by looking at the company that is looking for drivers. At Evans we offer a sign on bonus for our drivers as well a referral bonus for any other drivers you may know. On top of that we address one of the biggest complaints industry-wide, which is amount of time on the road. One of the biggest causes for drivers leaving a company is they spent too much time away from home. Evans hires local drivers to ensure that you are home every night.